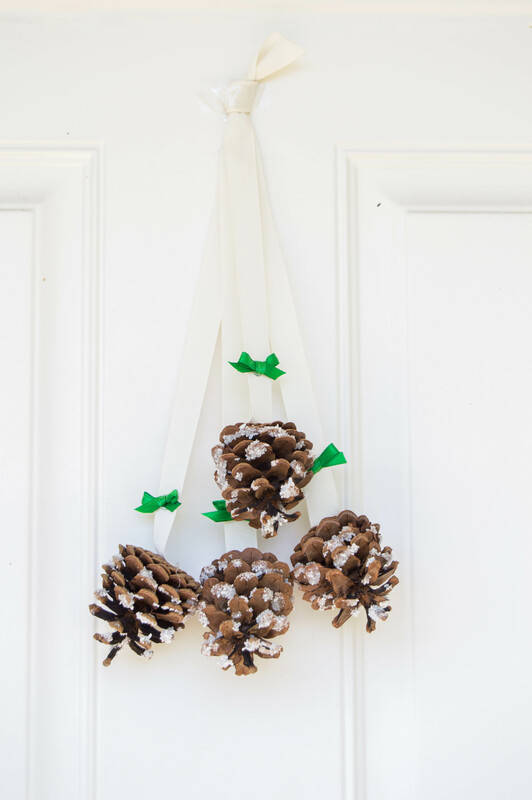 This idea came out of these adorable snowy pinecones from The Clumsy Crafter (Where Glue Guns Get Deadly) – which kind of has an awesome blog name, don’t you think? 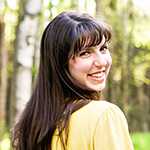 She also has some awesome crafts, so I’d encourage you to check her out. Anyway, I was looking for a door decoration that wouldn’t have to be changed right after Christmas, and the pinecones inspired this craft. 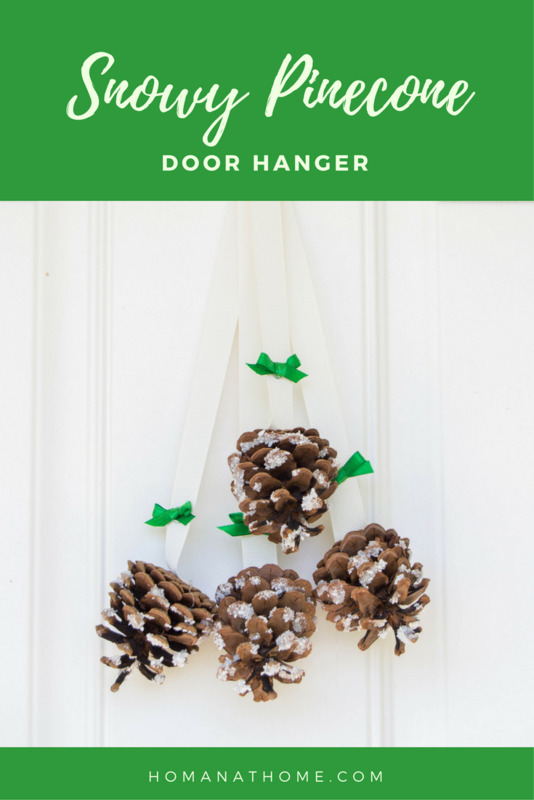 I give you: The Snowy Pinecone Door Hanger! This craft is super cheap, but looks awfully cute. It’s actually very little work, which makes it the best kind of craft: easy, cheap, and nice-looking when you finish! If you collected your pinecones yourself, make sure to bake them so that no evil little buggies invade your home. Just put the pinecones on a foil-lined cookie sheet and bake at 200° for 20 minutes. If you got your pinecones from the store, you can skip this step. You’re safe. Now you’ll roll your glue-covered pinecone through the Epsom salts and place it somewhere to dry. It takes 10-15 minutes for the pinecones to be ready for the next step. And drying while the glue gun heats. 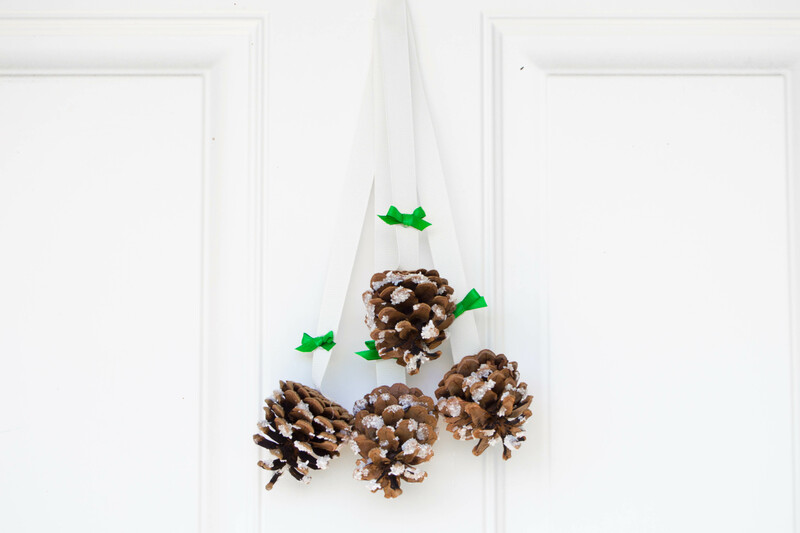 While your pinecones are drying, you can heat your glue gun and cut the 1 in ribbon into 2 ft lengths. Then you’ll hot glue your pinecones to the ends of the ribbon. Once you’ve got all your ribbons glued to pinecones, you’ll put them all together and tie them in an overhand knot. You can leave things here and be done, but I thought it looked a little bland, so I added hot-glued ribbon bows in a contrasting color (gold). I hung it on the door, and now my house looks ready for that first snow! Thank you so much! They look great! Thanks! I loved your tutorial – easy to follow and the result is so cute!